The Beast headlines Freedom Suite Release Party + launch of Okayplayer‘s new blog Revivalist at NuBlu Jazz Festival on Thursday November 11th. Also feat. 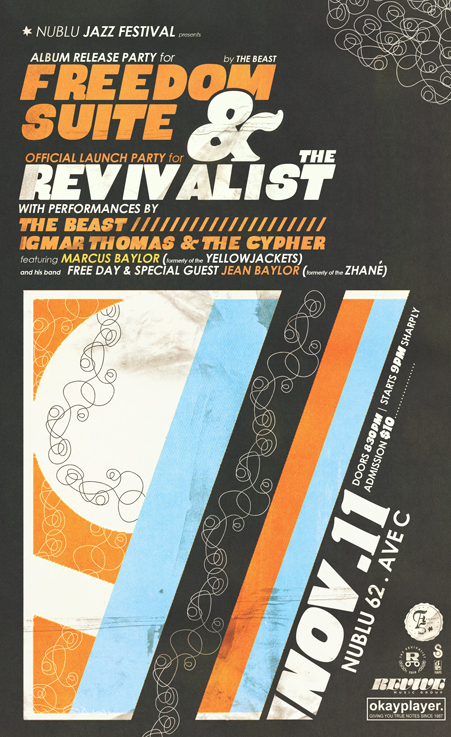 Igmar Thomas & The Cypher and Marcus Baylor. Check out the promo!